Foreign vessel arrivals in the Port of Vancouver dipped about one per cent last year. However, over the course of the next few years overall marine traffic volumes in the Port are forecast to rise. Oil tanker activity associated with the Trans Mountain Expansion Project represents a small portion of current and future overall vessel movement in the Port and the Strait of Juan de Fuca. Oil tanker calls to Westridge are expected to increase from about one per week at present to slightly more than one per day when the Expansion Project is complete in late 2019. An estimated 350 additional tankers will call on Westridge each year. 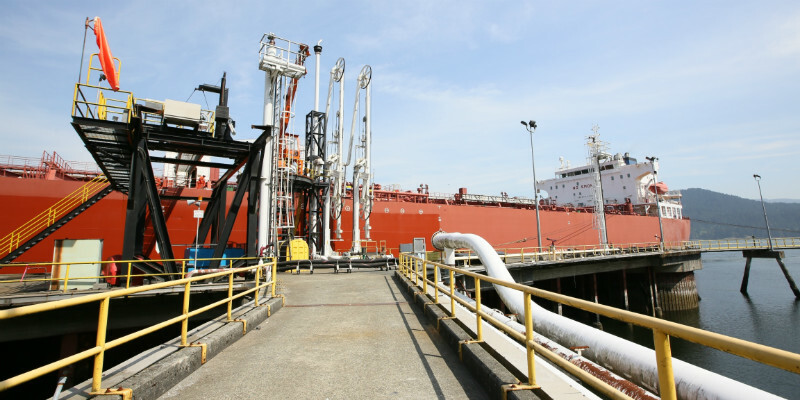 Post expansion, oil tanker traffic associated with Westridge is forecast to account for about 16 per cent of average monthly large vessel movements within Burrard Inlet. Around the southern tip of Vancouver Island and the Strait of Juan de Fuca, Trans Mountain’s contribution to large vessel movements will remain low. This area is visited by a high number of large vessels travelling to and from ports in Canada and the United States. The percentage of tankers from the Project as a portion of all large vessels in this area is forecast at about 6.5 per cent; it is currently about one per cent. These figures don’t account for other marine traffic in the Port and in the region, such as small ferries, fishing vessels and recreational boats. Some other ports around the world safely handle much larger volumes of traffic. For instance, each year the Port of Rotterdam in the Netherlands sees more than 30,000 deep-sea vessels of which about 8,200 are tankers.